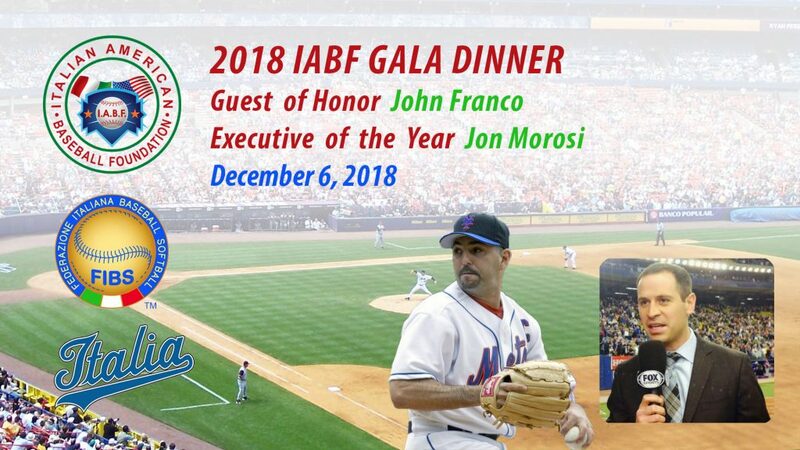 John Franco and Jon Paul Morosi talk about what it means to them to be honored by the Italian-American Baseball Foundation. The latest news on the winter meetings from Las Vegas. On July 10, John Franco, Mark Cardillo, Carmine Gangone and Joe Quagliano I traveled to Italy on our 1st official IABF visit. Watch the video and photo gallery. 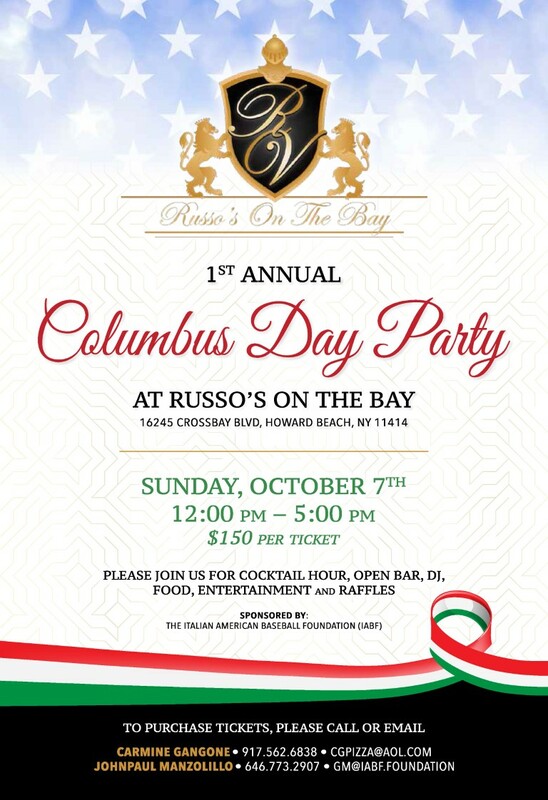 Russo’s On The Bay. There was Cocktail Hour, Open Bar, DJ, and Dinner. for the 3rd Annual fundraising dinner & cocktail reception. 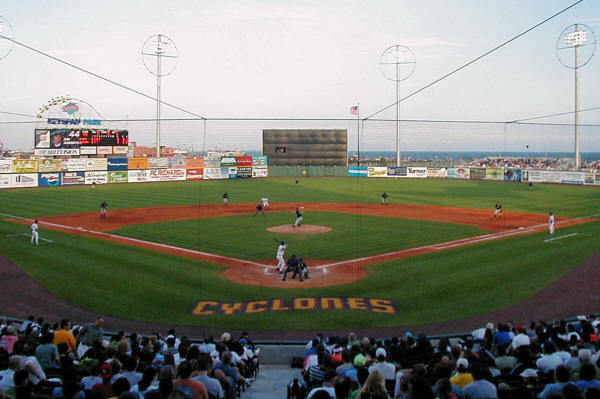 On July 5, Gary Perone organized our 1st youth Baseball Clinic at the MCU Park, the home of the Brooklyn Cyclones. 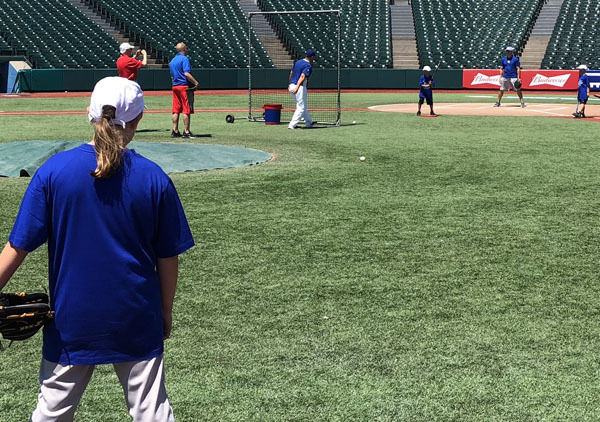 It was a perfect day as Frank Catalanotto, Mark Cardillo, Gianpaolo Manzolillo and John Montefusco donated their time and helped the kids with pitching, fielding and batting stations. 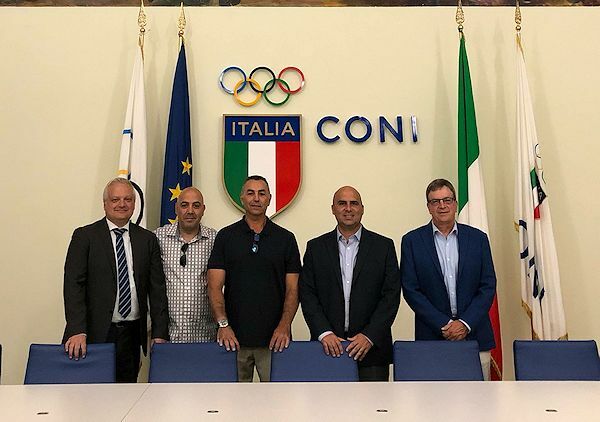 The Italian Olympic Committee (CONI) with the help of IABF board member Mico Licastro sponsored the event. Carmine & Karen Gangone provided box lunches for all. 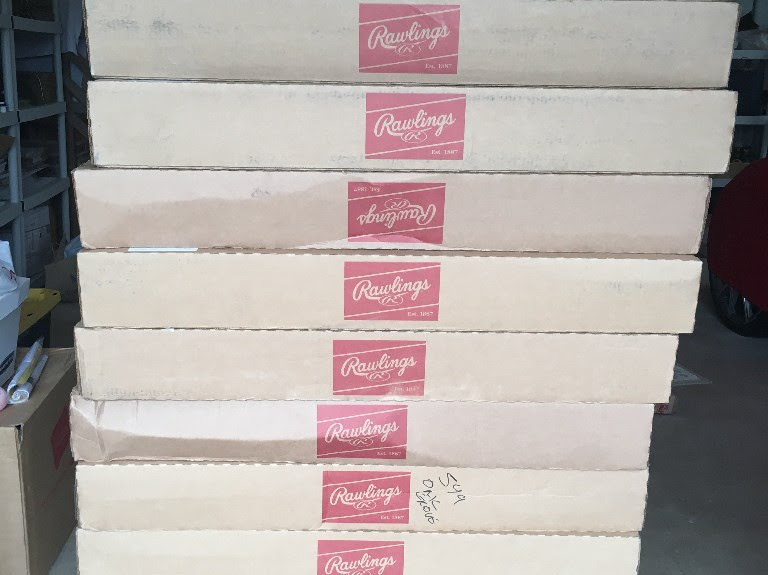 In July, the IABF purchased over 100 baseball and softball bats from Rawlings that we shipped to the Rome offices of FIBS. The bats will be used by the Junior National Team (U18) and other youth teams playing in tournaments in Holland and Japan. Also for training at the Italian Baseball Academy in Rome. Gary Perone stepped up and helped with the purchase as well as the shipping. In a private suite at Yankee Stadium with a Yankee Legend. 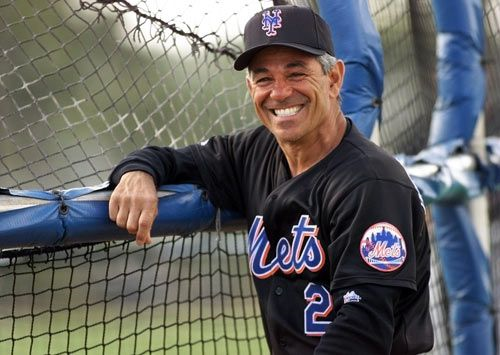 tell stories of his Yankee playing days. 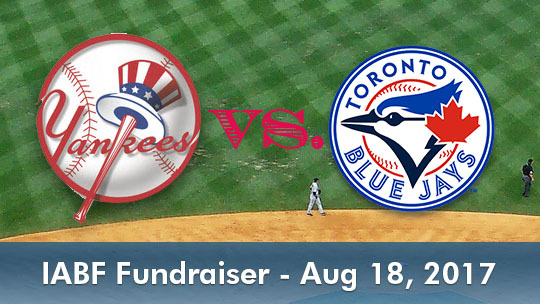 Please join Andrea Marcon, Pres, of Federation of Baseball & Softball as he welcomes a select group of Baseball VIP’s for the 2nd Annual fundraising dinner & cocktail reception to benefit and award student-athletes with scholarships and financial aid. To help bring awareness of the game to Italian youth through pitching, field & hitting clinics with MLB instructors. 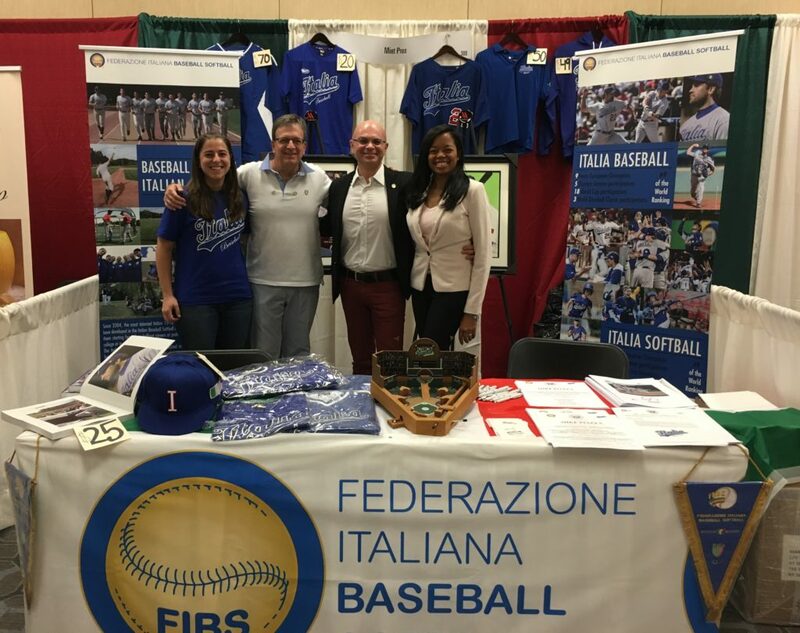 IABF at the National Italian American Foundation Expo.